The Artsnova Art Library is where I share with you my thoughts and views on art, computer graphics and related topics. Articles Writings on art, digital art, digital photography, space art and related subjects. Art Links Links to art museums, art essays, online art databases, digital art and photography sites I've found interesting. Art Quotes A collection of quotations about art. Art Videos A collection of my YouTube videos. Art Tutorials Tutorials I've written on computer art. Software Reviews Articles about computer graphics software. 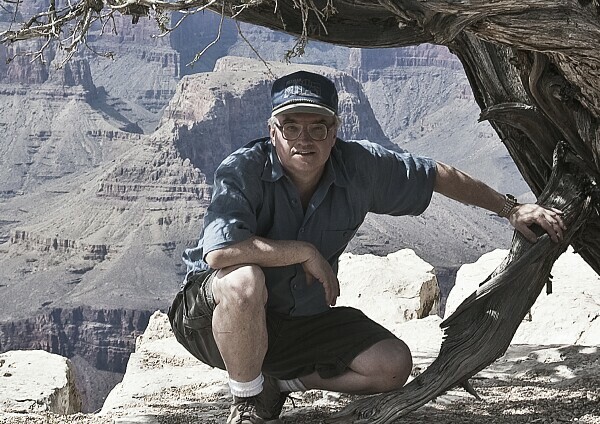 A self portrait of the artist on the rim of the Grand Canyon.